There are a lot many questions which crop up in a student's mind while applying for foreign universities. One has to know these vital details in order to smoothen the cumbersome procedure that is generally associated with overseas education system. Here, we are going to highlight on some of the fundamental elements which will help in answering frequently asked questions. Q-1 How Access Education surpasses others while helping one in preparing for overseas education? Ans. Access Education is one of the most sought after institutes offering training on cracking multifarious tests vital for getting through major overseas universities. We are backed by a qualified faculty team, each expert in their respective fields. 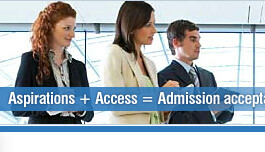 We have the proper knowledge related to the admissions committee procedure. Students come to our aid, since, we hone the very skills required by top institutes in an applicant's applications. Our perspective makes us different from others which pays priority on maximizing an applicant's chances at any school. Equal effort is paid on their all round development. We keep them updated with future career opportunities as well give fair judgments on their career moves. Q-2 What are the varied tests one needs to clear for getting admissions in foreign universities? Ans. In order to be considered eligible for distant education in most foreign universities, an Indian has to undergo certain tests like GMAT, GRE, SAT, TOEFL & IELTS. These actually judge a student's basic level for the varied courses he is applying. While GMAT is essential for getting through a management course, GRE is meant for all other miscellaneous courses apart from management. Both are vital when applying for graduate courses. SAT is meant for undergraduate courses. IELTS & TOEFL are two of the most required English proficiency tests that one has to appear for along with the standardized tests. These ease the task of application procedure, since, they are recognized by almost all overseas universities. Q-3 Does Access provide honest assessment on student's top choice admission prospects? Ans. We at Access have firm faith in client relationship. We provide fair assessment on an applicant's admission choice prospect but never try to instill realistic expectations in them. Though, we try our level best to help students excel at every step, be it exam preparation, honing their language skills, refining their application writing skills, personal statements etc. We even conduct mock interview sessions to give them a feel of the real test. 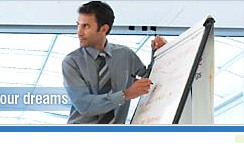 Our ultimate aim is to make them master every possible art of the grueling exam procedure. Thus, we pay our maximum effort in helping students to come out of the arduous admission procedure with flying colors. Q-4 Does Access provide tailor made essays and personal statements for students? Ans. Access does not provide tailor made written articles for its students, since, it simply does not fit in its principles. Though, it imparts extensive guidance to students teaching them the nitty gritties of writing essays, statement of purpose & other written materials. Suggestions on improvements to be made in varied areas are always offered. Q-5 Is there any scope for applying for scholarships in USA? Q-6 What is the initial level on the basis of which overseas universities absorb students? Ans. Students can apply for both undergraduate & postgraduate degree courses. One just have to figure out the suitable course one would like to go in for. Students can apply for postgraduate course in the US universities only after completing their graduation. However in Australia, students can apply for varied degree courses as Honors, graduate diploma etc. France has options for both graduate & postgraduate studies. While German institutes even allows for undergraduate courses. Q-7 Which program one should go for? Collect as much information on the concerned university & program. Read informations on study materials through handouts, catalogs, pamphlets. Constantly refer to the university web sites. If possible, watch program videos. Q-8 What are the most favored overseas educational destinations of Indian students?